Each and every Pre-owned vehicle is chosen with care and fully reconditioned and certified ! We have worked hard to earn the trust of our clients for over forty years and we will do the same for you. Stop by and experience the Gemini Motors difference today. Each vehicle must pass a comprehensive inspection during which any needed repair or maintenance is performed, ensuring Subaru's highest standards of quality. After 360 degrees of rigorous inspection from Subaru's factory-trained technicians, only the cream of the crop remain assuring you that proper attention has been paid. There are many ways to answer this question, but all of them link back to a single compelling brand promise: Confidence in Motion. This means confidence from the word "go" trusting that the vehicle you've chosen is a quality product with superior levels of innovation, engineering, safety, capability and reliability built right in. Once your choice is made, confidence builds through the driving and the ownership experience. 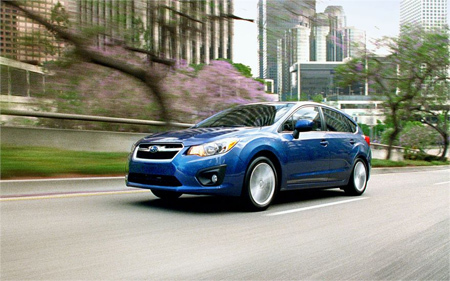 This is where you come to appreciate the stellar build quality, the impressive fuel efficiency and the genuine pleasure of being behind the wheel of your Subaru. This is also where the value of owning a Subaru becomes reinforced from the very first day and every day. Our vehicles have earned a lot of recognition from customers, reviewers and third-party organizations alike, a sure sign that we've been delivering on our promise ? and great motivation for us to keep delivering vehicles Canadians can feel good about driving for many years to come. So if you're looking for a vehicle that offers a lot more, we invite you to check out the full line of Subaru vehicles and prepare to be pleasantly surprised. When you think of visiting a car dealership, you may only think of test drives and purchases. But we can offer a wide range of services to assist you with buying and owning a used car in Kitchener. At Gemini Motors our staff is here to answer technical and finance questions that you may have. We can show you the rigorous inspection process each of our used cars go through before you buy it, and our business office can help you finance your purchase once you've decided on a vehicle. You can continue to rely on us after you've taken your car home, too. Our service center can help you keep your vehicle safe and dependable with regular maintenance here at the dealership. Come visit us and find out about the many services we can offer you beyond a quality pre-owned vehicle when you are looking for a quality used car in the Kitchener-Waterloo area.